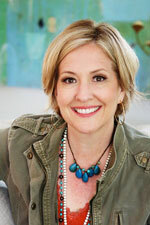 Brené Brown, Ph.D., L.M.S.W., is a research professor at the University of Houston where she holds the Huffington Foundation – Brené Brown Endowed Chair at The Graduate College of Social Work. She has spent the past two decades studying courage, vulnerability, shame, and empathy and is the author of four #1 New York Times bestsellers: The Gifts of Imperfection, Daring Greatly, I Thought It Was Just Me But It Isn't, Rising Strong, and Braving the Wilderness. Her newest book, Dare to Lead: Brave Work. Tough Conversations. Whole Hearts., is now available. I Thought It Was Just Me (But it isn't): Telling the Truth About Perfectionism, Inadequacy, and Power, Brown's best-selling book that shines a long-overdue light on an important truth: Our vulnerabilities are not weaknesses; they are powerful reminders to keep our hearts and minds open to the reality that we’re all in this together. The Gifts of Imperfection: Let Go of Who You Think You're Supposed to Be and Embrace Who You Are, an interactive guide that--through stories, meditations, and creative activities--helps us embrace our flaws and live an authentic life.